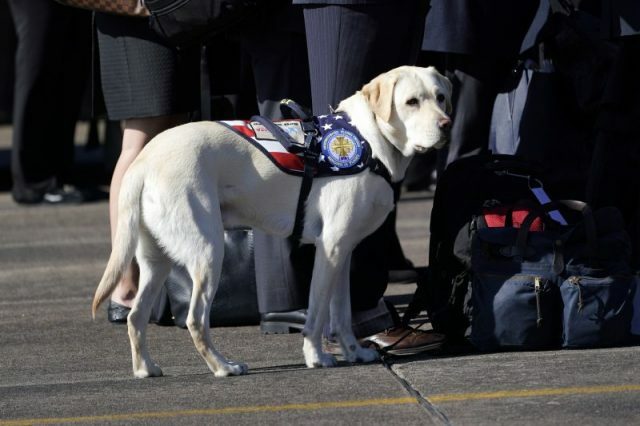 Sully, the service dog of former President George H.W. 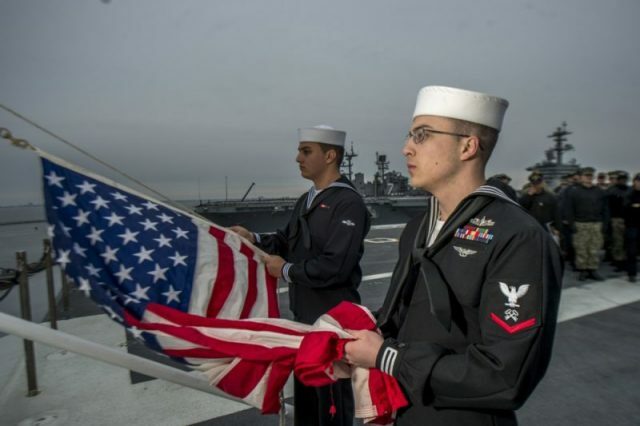 Bush, spent the night of December 2, 2018, lying before Bush’s flag-draped casket in Houston, Texas. 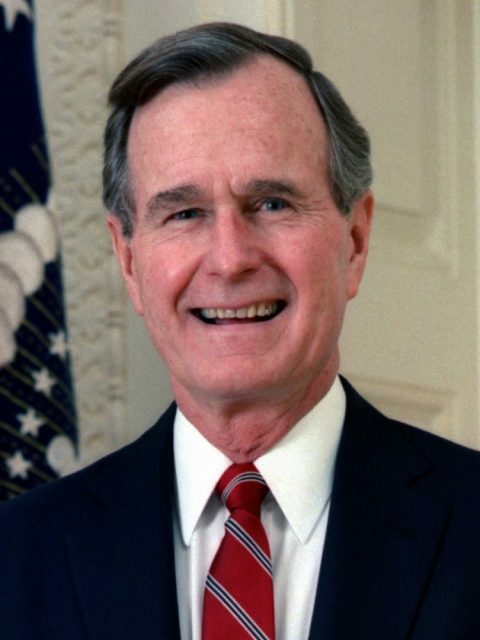 Bush, who served as the 41st U.S. president between 1989 and 1993, died on November 30th at the age of 94. Sully traveled with the casket on the flight from Texas to Washington D.C. on Monday, December 3rd. The former president’s body is due to lie in state this week ahead of a day of national mourning. Official portrait of George H.W. Bush, former President of the United States of America. 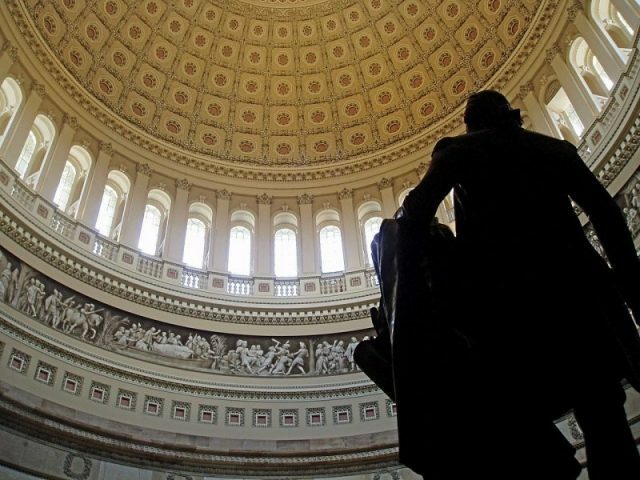 The coffin is being flown to D.C. on board Air Force One — temporarily renamed Special Air Mission 41, in homage to the late president – and then back on Wednesday, with Sully accompanying the body throughout. Sully, a two-year-old Labrador Retriever, is named after the airline pilot Chesley “Sully” Sullenberger, who landed a passenger jet on the Hudson River in New York in 2009, saving all of the 155 passengers and crew on board. 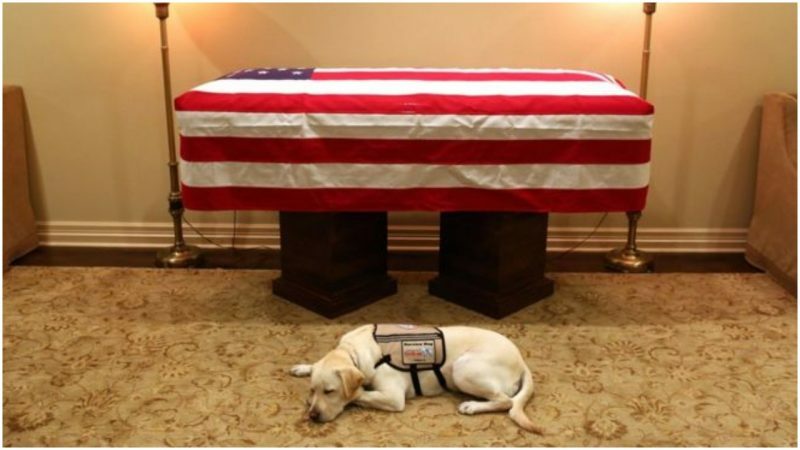 The dog was assigned earlier this year as a service dog to Bush, who used a wheelchair in the last years of his life. The former president had been receiving treatment for a form of Parkinson’s disease and had been admitted to the hospital with a blood infection in April. The disease caused slow movements and difficulty balancing, among other symptoms. Bush frequently used a wheelchair toward the end of his life, and Sully provided assistance with daily life. “Sully could open doors, pick up items and summon help,” The Associated Press reported. 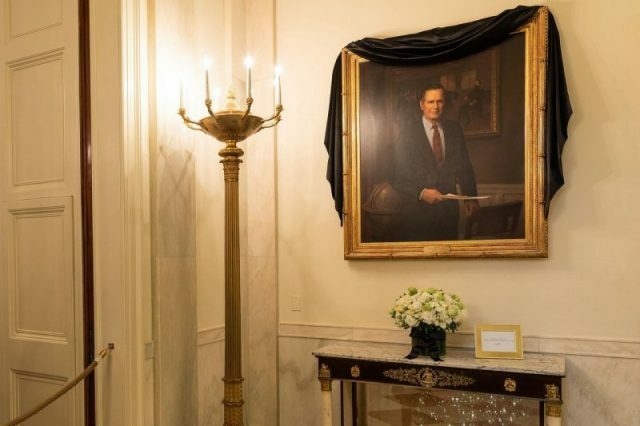 A portrait of Bush in the White House is pictured draped in black mourning crêpe on December 1, 2018. Bush and his wife, Barbara, were noted dog lovers. While in the White House, the Bush’s presidential pets were Millie, a springer spaniel, and later one of Millie’s puppies, named Ranger. That Sully will continue to serve veterans was important to the Bush family. George W. Bush, the late president’s son and 43rd president, predicted that Sully will bring joy to patients at Walter Reed. President Bush will be buried at the presidential library in Texas, alongside his wife, who died seven months ago.